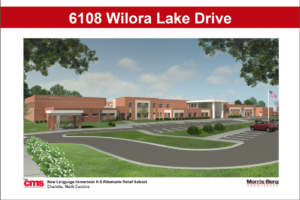 This brand new, yet-to-be-named school will open with k-8 students (mostly from Albemarle Road Elementary and Middle School) and k-1 magnet students enrolling in the Dual Language program. The school’s principal will be announced soon! Come learn about the Leader in Me magnet program, visit classrooms, and ask questions. School should be a safe place for teaching and learning for everyone.